We are the proud manufacturers of the Eco Solid Roof, Eco Warm Roof and the Eco Garden Pod. 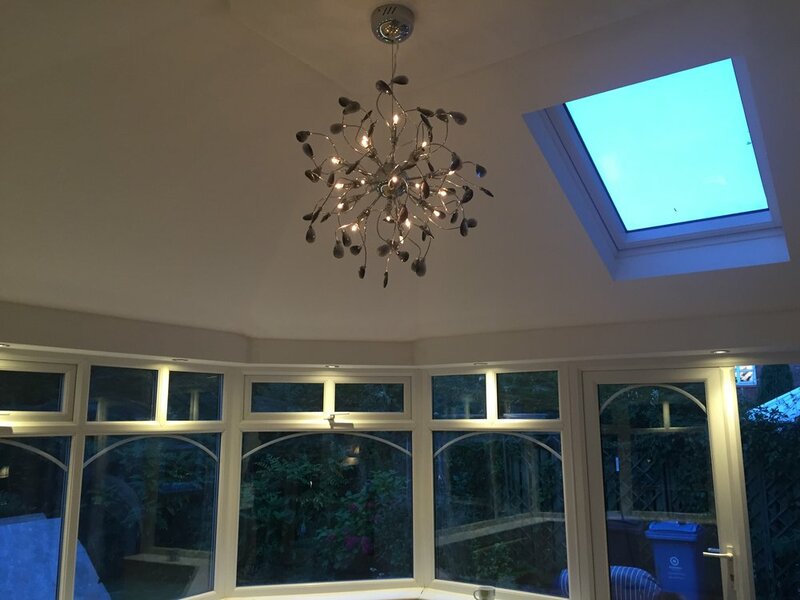 We use the latest techniques and materials to give you the best quality and style for all homeowners to enjoy either an insulated state of the art garden room or improve the quality of your conservatory by using the room all year round. 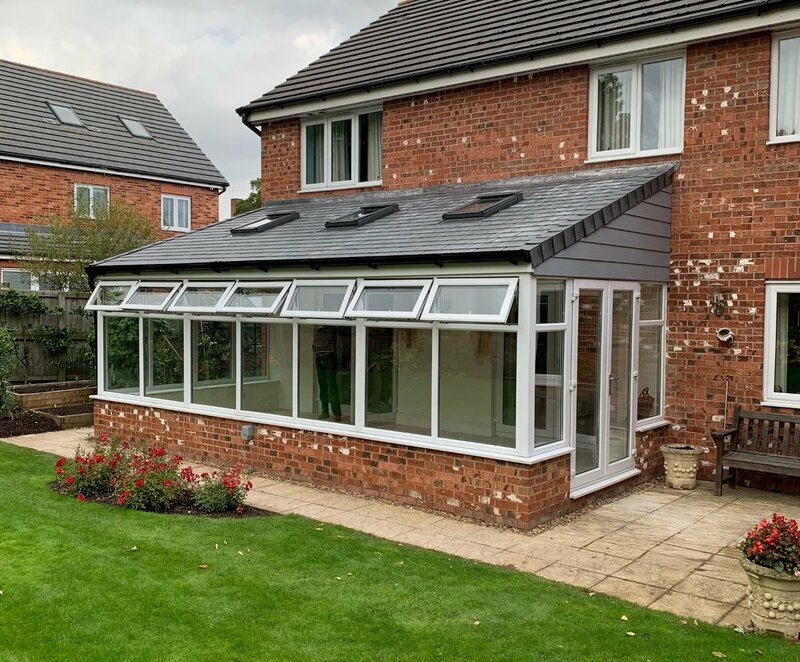 We offer a service of transforming your home with either a state of the art Garden Pod or an insulated tiled roofing system for your conservatory. We manufacture two types of roofs ideal for conservatories to stop them being too hot in the summer and also too cold in the winter. Our Eco Garden Pod is to create space in your garden. We offer 3 different styles to suit every garden type and are available in Cedar or Composite Cladding. We have many years of experience and all of our staff are qualified, professional and most of all committed to making each installation successful for our fitting teams. We do not have any high pressured selling techniques and feel we have the best roofing system within the industry. Please feel free to contact us for a free site visit and a quote will be provided for you to consider. Our roof slates are lightweight, cost effective and look almost identical to traditional roof slate. The incredible flexibility of the tile makes the product. The roof lights allow views of the sky internally and create a beautiful feature in the ceiling of our design. The Velux also provides ventilation on hot days to give you extra comfort. Transform the room with an insulated plastered finish. We ensure all of our customers get the desired look they are aiming for. Transform the room with a bespoke pelmet. Pelmets are an additional feature to create mood lighting and give the room a wow factor. The upmarket design is a very popular choice. A unique advantage that distinguishes from any other slate on the market is no moss growth is possible with no maintenance issues. The Tapco tile provides a very neat and tidy finish. With a 50 year warranty and a sharp look the roof tile creates a perfect equal pattern across the conservatory. Available in a wide range of colours. Thank you for your request. We will reply to you shortly. A superb system. It keeps the summer really cool in the room and retains the heat. We also feel our garden looks much better with the new roof. Chris and the lads did a first class job. It was done on time and in budget. Would recommend them every day. It has been a complete transformation from our old polycarbonate roof. Couldn’t recommend this company enough. Great price also. The benefit of our process gives you a stronger, more pliable solid membrane that leaves you with a roof that is wind and weather resistant even at low pitches and better insulated than glass or poly carbonate.